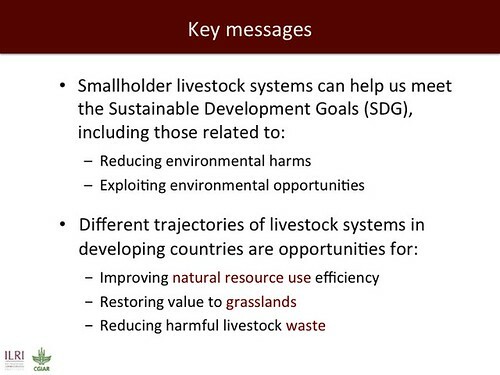 On 25 September, ILRI director general Jimmy Smith delivered an opening address on ‘Improving environmental sustainability of livestock systems in the developing world’ at the ‘Agri4D annual conference on agricultural research for development’ held in Uppsala, Sweden. A holding tank for recycling wastewater at Kampala City Abattoir (photo credit: ILRI/Albert Mwangi). Note: This post was developed by Bio-Innovate communications officer Albert Mwangi. A clamor to improve Africa’s agricultural value chains by greater industrialization of many of Africa’s agricultural processes was heard often at the just-completed sixth Africa Agricultural Science Week (AASW6), held in Accra 15–20 Jul 2013 and organized by the Forum for Agricultural Research in Africa. Most African nations are already pushing to add value to their primary agricultural commodities by supporting the establishment of relevant production and manufacturing processes and industries. Their aim is to transform their role as producers of primary agricultural commodities, such as whole raw coffee beans, into exporters of near-finished agricultural products, such as finely graded and ground coffees, thus earning more from their agriculture sectors. Several of Africa’s livestock-based economies are working to add value to their production of leather. Rather than drying the skins and hides of slaughtered domestic animals and selling these as is, the skins and hides in addition are softened, graded and cut for various products, and in some cases used to produce finished leather products for export. While economically desirable, the production and manufacturing processes employed in this kind of industrialization can pose significant environmental risks, in this case, for example, by contaminating and/or polluting riverine eco-systems, water bodies and groundwater sources with heavy metals and other toxic substances. Last week, Nigerian blogger Bunmi Ajilore, an advocate of sustainable agriculture and environmental justice, gave a succinct description of the public health hazards as well as benefits of using wastewater in agricultural activities (The use of wastewater in agriculture: The nagging dilemma, posted on his EcoAgriculturist Blog and reposted on the FARA–AASW Blog). A research-for-development program based in eastern Africa known as ‘Bio-resources Innovations Network for Eastern Africa Development’, or Bio-Innovate for short, is working to deliver innovations in the recycling of agro-wastewater from industrial processes. A pilot project being implemented in Ethiopia, Uganda and Tanzania, for example, is working to develop safe and sustainable agro-processes for waste treatment and these will soon be scaled out to other agro-industries in the eastern Africa region. The city abattoir in Kampala, Uganda, a partner in this Bio-Innovate project, illustrates ways in which the project is helping to make recycling processes both safe and sustainable. 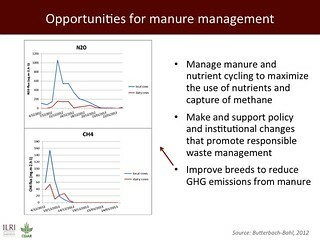 These processes are being integrated in ways to, simultaneously, reduce pollution, generate energy and recover nutrients from agro-process wastewaters. A 2005 publication by Joseph Kyambadde (Integrated Process for Sustainable Agro-process Waste Treatment and Climate Change Mitigation in Eastern Africa) showed that a good number of industrial activities in this region release inadequately treated wastewaters into the environment. 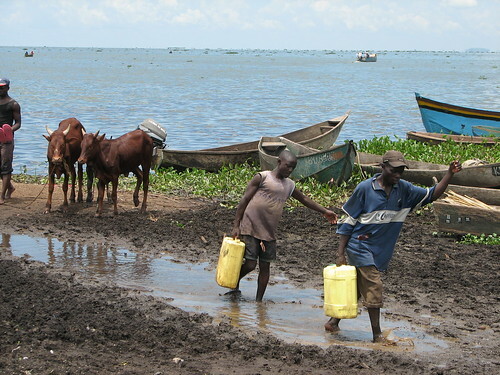 The study further indicated that effluent from Kampala City Abattoir significantly harms the ecology and water quality of Lake Victoria’s Inner Murchison Bay, source of Kampala’s drinking water. The abattoir has a slaughter capacity of 500–600 cattle and 200–300 goats/sheep per day, with an estimated wastewater production of 200-400 m3 per day. 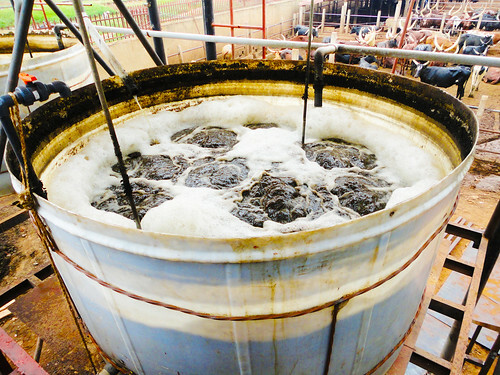 This wastewater effluent generated by the abattoir is a major factor in nutrient enrichment and oxygen depletion in Lake Victoria. Researchers at Uganda’s Makerere University, who are implementing this project, are working with staff of Kampala City Abattoir to create a ‘value-addition chain’ that involves bioconversion of slaughter wastes to produce biogas and production of nutrient-rich slurry for use in hydroponic systems, where plants are grown without soil, and as bio-fertilizer. In a pilot plant that has been set up, effluent from the abattoir is first treated in anaerobic and aerobic sequencing batch reactor (SBRs) digesters; the resulting digestate is separated into two components: a nutrient-rich sludge that will be converted to bio-fertilizer and treated effluent that has a reduced organic load. This effluent can then be used to cultivate vegetables, flowers and animal fodder in a hydroponic system constructed in an artificial wetland. The treated wastewaters have great potential also for industrial use in cleaning the slaughtering areas, animal storage facilities and public toilets. This system combines bio-digestion of waste to reduce the organic load and generate biogas and electricity; utilization of nutrient-rich effluent for hydroponics; and artificial wetlands to further clean the effluent before release into the environment. This integrated system not only is an innovative way to manage and recycle wastewater sustainably but also provides people with sufficient incentives for such recycling. The biogas and electricity generated by this integrated wastewater management / recycling system can be used as an alternative energy source, and so help reduce deforestation, which generates the greenhouse gases causing climate change. As noted, other products generated by the system can be used as affordable bio-fertilizer. And of course a further benefit is better protection of freshwater resources. By treating agro-process waste in such an integrated way, this project is helping Kampala City Abbattoir to protect Uganda’s environment and livestock livelihoods alike. It is the aim of Bio-Innovate and its Ugandan colleagues to replicate this pilot system in suitable places elsewhere on the continent to help Africa’s expanding agro-industries make safer and better use of their wastewater. FARA website’s 6th Africa Agriculture Science Week (AASW6), in Accra, Ghana, included marketplace exhibitions (15–20 Jul 2013), side events on sub-themes (15–16), a ministerial roundtable alongside a Ghana Day (17 Jul), plenary sessions (18–19) and a FARA Business Meeting (20 Jul). The discussions were followed on Twitter (search for #AASW6) and blogged about on the FARA-AASW6 blog. 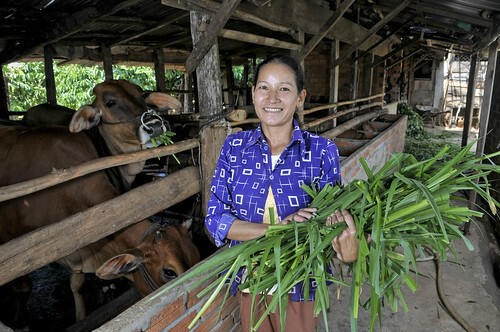 A smallholder livestock farm in Dak Nong Province, Vietnam. Animals raised in mixed systems have a much lower water footprint on surface and groundwater bodies than those in industrialized farming systems (Photo credit: Neil Palmer/CIAT). 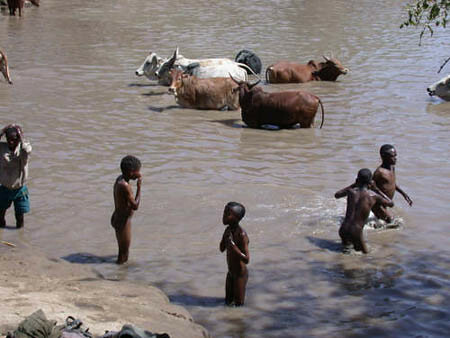 A leading researcher in water resources says that the efficiency of water use in smallholder livestock systems in Africa could be raised significantly through such means as reducing levels of concentrate feed used in livestock feeding systems, raising more livestock in drylands unsuitable for crop farming, and greater cooperation between livestock sector players and water management experts. 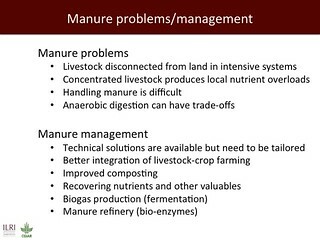 Arjen Hoekstra, a professor in water management from the University of Twente, in the Netherlands, made these remarks during a ‘Livestock live talk’ on ‘The water footprint of livestock products’ at the International Livestock Research Institute (ILRI) on 7 Feb 2013. According to Hoekstra, every commodity has a water footprint –‘the volume of fresh water that is used to produce the commodity, summed over the various steps of the production chain’. This footprint includes when and where the water was used and the temporal and spatial dimensions of the water used. About 4% of the global water footprint comes from domestic water use, but by far most of the world’s water footprint – 96% – is ‘invisible’ and is associated with agricultural and industrial products bought in markets. ‘Ninety-two per cent of humanity’s water footprint comes from agricultural production, and animal production is responsible for 29% of the water footprint of the global agricultural sector,’ said Hoekstra. Agriculture-related water use inefficiencies in developing countries contribute to a farming water footprint that is much larger in these countries than in developed countries. 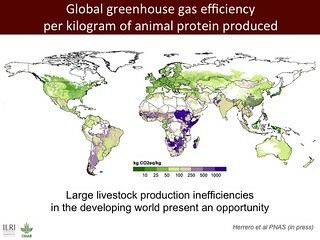 Hoekstra presented results from a series of studies that looked at the globalization of water, the water footprint of animals and what can be done to reduce it. These studies focus on components of water consumption and water pollution in producing market commodities, including the volume of rain, surface or ground water evaporated or incorporated into a product and the volume of polluted water resulting from the processes of producing specific commodities. 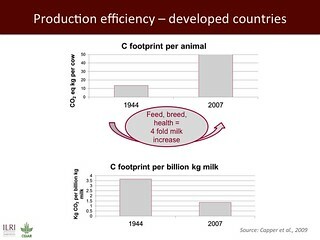 His results show that in food production, animal products such as beef, poultry and pork had a consistently higher footprint than crops such as wheat and soybean. 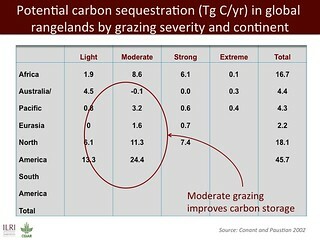 Hoekstra noted that animals raised in grazing and mixed systems had a much lower water footprint on surface and groundwater bodies than those in industrialized farming systems. ‘Even though the conversion of feed to livestock product (milk or meat) improves as one moves from grazing to industrial systems, this is at the cost of more high-nutrient concentrate feed, which has a larger water footprint than roughages,’ he said. Water footprint assessment is a growing field. ‘In future’, Hoekstra said, ‘stakeholders have the challenge of coming up with shared terminologies and calculations for a global water footprint standard and setting up benchmarks for quantitative water footprint reduction targets.’ A Water Footprint Network that brings together academia, governments and the private and public sectors has already been established towards this end. 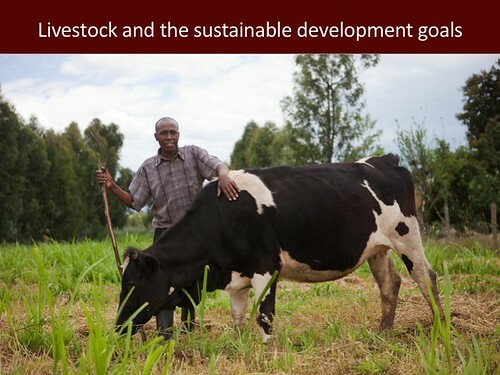 Read a related article by Jane Gitau in ILRI’s People, Livestock and Environment blog. 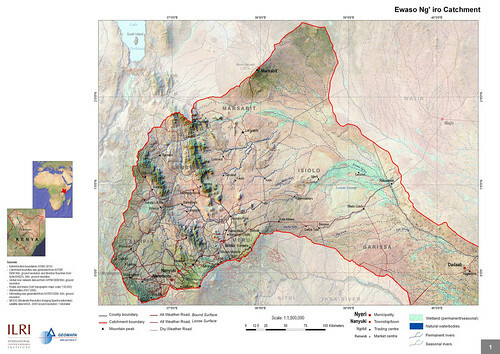 A map of the Ewaso Ng’iro watershed catchment, taken from Mapping and Valuing Ecosystem Services in the Ewaso Ng’iro Watershed, published in 2011 by ILRI. The Ewaso Ng’iro watershed incorporates the forests of Mt Kenya, the second highest mountain in Africa; the wildlife-rich savannas of Laikipia; and the arid scrublands around Dadaab, the world’s largest refugee camp, located in Kenya’s Northeastern Province near the border with Somalia. The International Livestock Research Institute (ILRI) published in 2011 a ground-breaking assessment of Kenya’s Ewaso Ng’iro watershed that maps its key ecosystem services—water, biomass, livestock, wildlife and irrigated crops—and estimates their economic value. 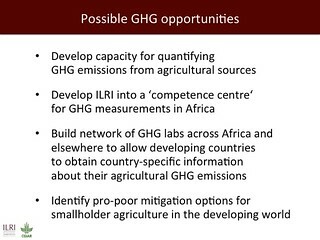 Based on the quantification of, and the demand for, these services, the ILRI scientists estimated their economic value and then obtained downscaled climate change projections for northern Kenya and assessed their impact on crop conditions and surface water hydrology. ‘The Arid and Semi-Arid Lands (ASALs) cover 80% of Kenya’s land area, include over 36 districts, and are home to more than 10 million people (25% of the total population) (GoK 2004). A vast majority (74%) of ASAL constituents were poor in 2005/06; poverty rates in the ASALs have increased from 65% in 1994 (KIHBS 2005/6 cited in MDNKOAL 2008), which contrasts with the rest of Kenya — national poverty rates fell from 52% to 46% in the decade 1996–2006. Similar stark inequalities between the ASALs and other areas of Kenya are found in health and education as well as infrastructure development and services provisioning (MDNKOAL 2010a). ‘After decades of neglect, the government is committed to close the development gap between the ASALs and the rest of Kenya. To do so, it charged the Ministry of State for Development of Northern Kenya and other Arid Lands (MDNKOAL) to develop policies and interventions addressing the challenges specific to ASAL, mostly regarding their climate, pastoral and agro- pastoral livelihood strategies and low infrastructure, financial, and human capitals (MDNKOAL 2008). Unlike line ministries with sectoral development planning, MDNKOAL has a cross- sectoral mandate, which requires a holistic approach to development, weighting trade-offs and promoting synergies between sectoral objectives. . . .
‘ASALs, with 24 million hectares of land suitable for livestock production, are home to 80 percent of Kenya’s livestock, a resource valued at Ksh 173.4 billion. The current annual turnover of the livestock sector in the arid lands of Kenya of Ksh 10 billion could be increased with better support for livestock production and marketing. Since livestock is the main source of livelihood of ASAL constituents, any improvement in livestock value could substantially reduce poverty. While rainfed crop production is quite marginal and restricted to pockets of higher potential areas within ASAL districts, there is a sizeable area that could support crop production if there were a greater investment in irrigation (“Pulling apart” and ASAL Draft Policy 2007 cited in MDNKOAL 2008). Wildlife-based tourism, which contributed 10% to GDP in 2007/2008 (World Bank 2010) is largely generated in the ASALs (MDNKOAL 2010a). While tourism revenue has been constantly on the rise (21.5 Million Ksh in 2000 to 65.4 Million Ksh in 2007 (Ministry of Tourism 2007)), the sector would benefit, among others, from improved road and tourism infrastructure (World Bank 2010). ‘Reliance of the ASAL on their natural capital for their development: the importance of ecosystem services In most of Kenya’s arid and semi-arid areas, pastoral livelihood strategies dominate. This involves moving livestock periodically to follow the seasonal supply of water and pasture. 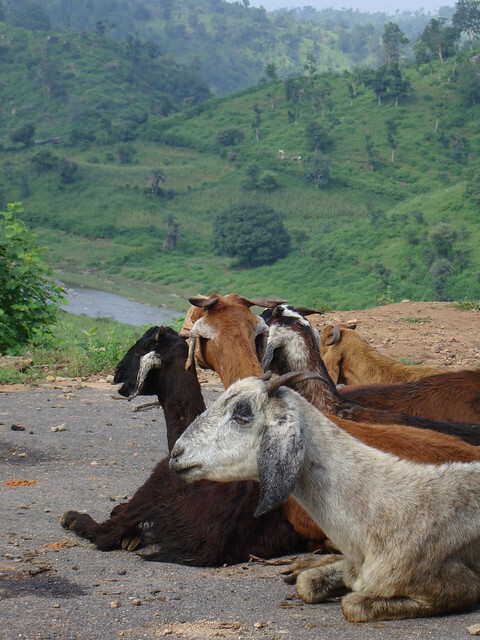 Agro-pastoralism, combining cropping with pastoral livestock keeping, is a livelihood strategy in areas where rainfed agriculture is possible and around more permanent water sources. In areas with slightly more rainfall, there is mixed farming with sedentary livestock. These agricultural lands are typically dominated by a mix of food, livestock and increasingly cash crops, such as flowers and high value vegetables which are often destined for export. The cash crops often rely on irrigated agriculture. Wildlife conservation and tourism are also important land uses with an increase in the dryland area under a protected status. 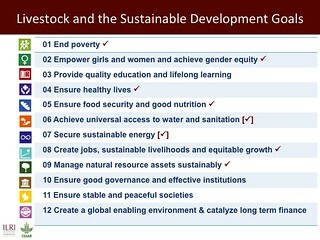 All of these livelihood strategies are directly dependent on ecosystem services, the benefits people get from ecosystems. As described, dryland ecosystems supply food from livestock and crops, water for domestic use and irrigation, and wood for fuel and construction (provisioning services). Beyond contributing to people’s livelihood strategies, healthy dryland ecosystems contribute to their standard of living (health, physical security) by delivering regulating services such as mitigating the impacts of periodic flooding, preventing erosion, sequestering carbon, purifying water, and affecting the distribution of rainfall throughout the region. These, in turn, all depend on supporting services, such as soil fertility that underlies the productivity of dryland and crops in particular and the production of biomass (vegetation) that sustains livestock and wildlife grazing. Moreover, Kenya’s dryland ecosystems provide important cultural services that maintain pastoral identities and support wildlife tourism. ‘ASAL ecosystems must be managed effectively so that they continue to provide these services. In developing land use planning, decision-makers need to understand and holistically manage the complex linkages between ecosystems, ecosystem services and people. The ecosystem services approach will provide tools to integrate socio-economic and bio-physical aspects providing a holistic approach to look at synergies and trade-offs in terms of land and water between land uses across the catchment. 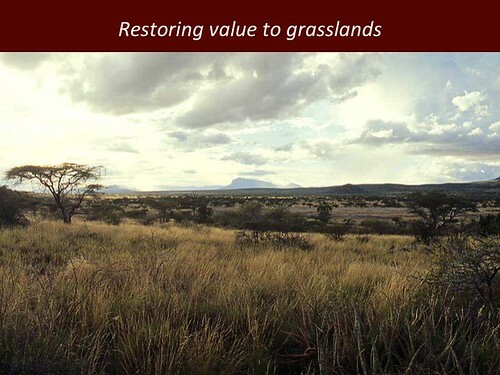 Download the whole publication, Mapping and Valuing Ecosystem Services in the Ewaso Ng’iro Watershed, by Ericksen, PJ; Said, MY; Leeuw, J de; Silvestri, S; Zaibet, L; Kifugo, SC; Sijmons, K; Kinoti, J; Ng’ang’a, L; Landsberg, F; and Stickler, M. 2011. Nairobi, Kenya: ILRI. 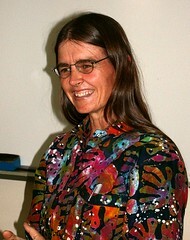 ILRI’s Polly Ericksen was the project leader and editor/compiler of the report. 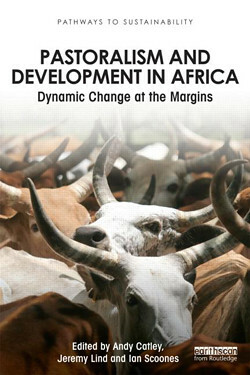 ILRI scientists Mohammed Said, Jan de Leeuw, Silvia Silvestri and Lokman Zaibet wrote much of the material for the chapters. Shem Kifugo, Mohammed Said, Kurt Sijmons (GEOMAPA) and Leah Ng’ang’a compiled the data and made the maps. World Resources Institute’s Florence Landsberg contributed ideas and material for chapters 1 and 2. World Resources Institute’s Mercedes Stickler contributed information from Rural Focus. The following journal article is forthcoming: P Ericksen, J de Leeuw, M Said, S Silvestri and L Zaibet. In press. 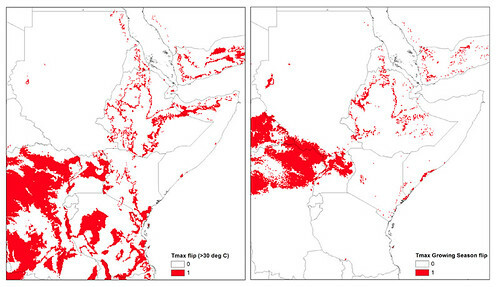 Mapping ecosystem services in the Ewaso N’giro Watershed. International Journal of Biodiversity Science, Ecosystem Services & Management. Map of the the Upper Tana landforms and rivers published in Nature’s Benefits in Kenya Nature’s Benefits in Kenya: An Atlas of Ecosystems and Human Well-Being, published in 2007 by the World Resources Institute, the Department of Resource Surveys and Remote Sensing of the Kenya Ministry of Environment and Natural Resources, the Central Bureau of Statistics of the Kenya Ministry of Planning and National Development, and ILRI. For the last nine months, the World Resources Institute (USA) and Upande Ltd, a Nairobi company offering web mapping technology to the African market, have been working to develop what has been coined ‘Virtual Kenya,’ an online interactive platform with related materials for those with no access to the internet. 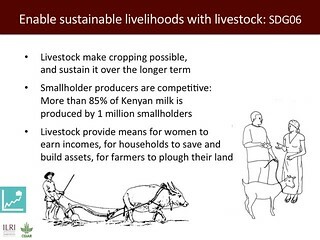 The content was developed by the International Livestock Research Institute (ILRI), the Kenya Department of Resource Surveys and Remote Sensing (DRSRS) and the Kenya National Bureau of Statistics (previously the Central Bureau of Statistics). 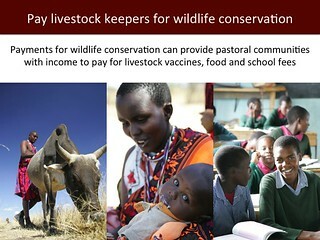 The Wildlife Clubs of Kenya and Jacaranda Designs Ltd developed offline educational materials. Technical support was provided by the Danish International Development Assistance (Danida) and the Swedish International Development Agency (Sida). The Virtual Kenya platform was launched this morning at Nairobi’s ‘iHub’ (Innovation Hub), an open facility for the technology community focusing on young entrepreneurs and web and mobile phone programers, designers and researchers. Peter Kenneth, Kenya’s Minister of State for Planning, National Development and Vision 2030, was the guest of honour at the launch. Given that the government has facilitated the laying of fibre optic cabling across the country and is now in the process of establishing digital villages in all the constituencies, the Virtual Kenya initiative could not have come at a better time. I hope that it will accelerate the uptake of e-learning as an important tool in our school curriculum. Virtual Kenya is designed to provide Kenyans with high-quality spatial data and cutting-edge mapping technology to further their educational and professional pursuits. The platform provides, in addition to online access to publicly available spatial datasets, interactive tools and learning resources for exploring these data. Users both inside and outside of Kenya will be able to view, download, publish, share, and comment on various map-based products. The ultimate goal of Virtual Kenya is to promote increased data sharing and spatial analysis for better decision-making, development planning and education in Kenya, while at the same time demonstrating the potential and use of web-based spatial planning tools. At the moment, the Virtual Kenya platform features maps and information based on Nature’s Benefits in Kenya: An Atlas of Ecosystems and Human Well-Being, published jointly in 2007 by the World Resources Institute (USA), ILRI, DRSRS the National Bureau of Statistics. Publication of the Atlas was funded by Danida, ILRI, Irish Aid, the Netherlands Ministry of Foreign Affairs, Sida and the United States Agency for International Development. The Atlas overlays geo-referenced statistical information on human well-being with spatial data on ecosystems and their services to yield a picture of how land, people, and prosperity are related in Kenya. By combining the Atlas’s maps and data on ecosystem services and human well-being, analysts can create new ecosystem development indicators, each of them capturing a certain relationship between resources and residents that can shed light on development in these regions. This approach can be used to analyze ecosystem-development relationships among communities within a certain distance of rivers, lakes and reservoirs; or the relations between high poverty areas and access to intensively managed cropland; or relations among physical infrastructure, poverty and major ecosystem services. Decision-makers can use the maps to examine the spatial relationships among different ecosystem services to shed light on their possible trade-offs and synergies or to examine the spatial relationships between poverty and combinations of ecosystem services. The Virtual Kenya platform is designed to allow users with more limited mapping expertise, specifically in high schools and universities, to take full advantage of the wealth of data behind the Atlas. The website also introduces more advanced users to new web-based software applications for visualizing and analyzing spatial information and makes public spatial data sets freely available on the web to support improved environment and development planning. The Virtual Kenya website provides users with a platform to interactively view, explore, and download Atlas data in a variety of file formats and software applications, including Virtual Kenya Tours using Google Earth. In addition, GIS users in Kenya will—for the first time—have a dedicated online social networking community to share their work, comment and interact with each other on topics related to maps and other spatial data. For those with limited mapping and GIS experience, Virtual Kenya will increase awareness of resources and tools available online to visualize and explore spatial information. For users and classrooms that do not have access to the Internet yet, other materials such as wall charts, student activity booklets, teachers guide, as well as the DVD with all the Virtual Kenya data and software will be available, giving them the opportunity to interact with tools available on the Virtual Kenya website. Read more about Nature’s Benefits in Kenya: An Atlas of Ecosystems and Human Well-Being, or download the Atlas, published by World Resources Institute, ILRI, Kenya Central Bureau of Statistics, and Kenya Department of Remote Surveys and Remote Sensing, 2007. Editor’s note: The Kenya Department of Resource Surveys and Remote Sensing (DRSRS) was incorrectly named in the original version and corrected on 26 June 2011. Goat herd resting before going out for a day's grazing in Renoje Village, 1.5 hours drive south from Udaipur, in southern Rajasthan. ILRI scientists are conducting case studies on the use of stover and other crop wastes for feeding ruminant farm animals in India and Bangladesh. The residues of grain crops after harvesting, which make up more than half the feed for camels, cattle, buffaloes, goats and sheep, are vital to animal husbandry in these and many other developing countries (photo by ILRI/MacMillan). Placing ecosystems at the heart of food security efforts can improve the productivity, resiliency and long-term sustainability of food supply systems. This is one of the key messages emerging from a new multidisciplinary collaboration led by the United Nations Environment Programme. 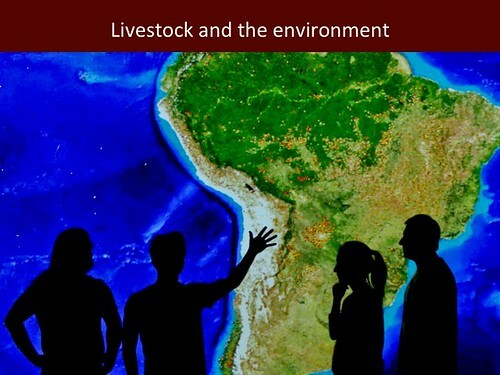 The collaboration brings together organizations working in the fields of livestock, fisheries, environment, water and agriculture to synthesize knowledge into options to alleviate hunger. Ecosystems provide food both in its natural state (e.g., capture fisheries, forest products) and in more managed landscapes (e.g., crop systems, livestock, aquaculture). Climate change and overexploitation, especially of water resources, threaten the productivity of ecosystems. And because most of the world’s poor are directly dependent on both natural and managed ecosystems for food, they are the most vulnerable to environmental degradation and climate-related shocks. Ecosystems also provide a host of services fundamental to food and water security. In particular, many ecosystems provide water management functions that are crucial to a stable food supply—these include water storage, purification and regulation functions as well as flood control. Ecosystems also need water to support their functioning, but many countries currently don't consider ecosystems a water user at all, much less a 'privileged' water user. To keep up with food demand, water withdrawals from rivers and lakes will have to increase by an estimated 70–90% by 2050 and large tracts of forest and grassland will have to be converted to agriculture. The ecological fall-out from such a course of action would be catastrophic. 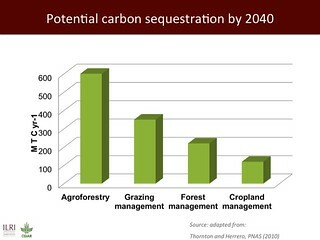 Continued decreases in ecosystem services have already begun to hurt agricultural productivity. Only by treating healthy ecosystems as fundamental to healthy food systems will it be possible to create systems that are not only more sustainable, but also more productive, resilient and diverse. 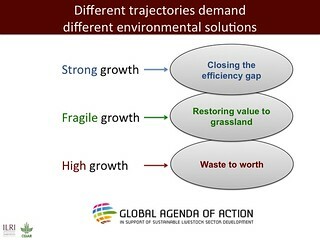 (1) Shift the focus of agricultural development from protecting discrete ecosystems to managing larger landscapes. Address these larger landscapes as bundles of interlinked services and ecosystems supporting food production. Expand the role of ministries of environment in bringing ecosystem services to the forefront of food security policy and planning. (2) Ensure water for ecosystems and ecosystems for water. Adequately value ecosystems services when allocating resources and planning water and land development. Avoid making unintended tradeoffs—particularly those that harm food and water security. Consider quality as well as quantity requirements of different water users to reveal options for reducing fresh-water withdrawals from the environment and getting more benefit per drop. (3) Do more than improve 'water efficiency' in agriculture. Without attending to allocation of water 'saved' to downstream ecosystems, improving water efficiency can end up doing more harm than good. Widen the focus on crop-based systems to include forests, livestock and fish. Place greater emphasis on managing water stored in the soil profile. These three recommendations are described in detail in a forthcoming report, 'Ecosystems for water and food security', whose development was coordinated by the International Water Management Institute. Contributors to the report include: the Arava Institute for Environmental Studies, the Convention on Biological Diversity, the Challenge Program on Water and Food, EcoAgriculture Partners, the Interdisciplinary Centre for Environment and Society at the University of Essex, the International Livestock Research Institute (ILRI), the Institute for Land, Water and Society at the Charles Sturt University, the International Soil Reference and Information Centre–World Soil Information, the Participatory Ecological Land Use Management Association, the Stockholm Environment Institute, The Nature Conservancy, the UNEP-DHI Centre for Water and Environment, WorldFish, the Wageningen University and Research Centre. A flyer with this information, Emerging Thinking on Ecosystems, Water and Food Security, is being distributed at a side event organized for Tuesday, 2 November 2010, 1–3pm, by UNEP and Global Water Partnership—'Green economy: Promote water as a key element for sustainable national development'—at a Global Conference on Agriculture, Food Security and Climate Change being held in The Hague from 31 October to 5 November 2010. This story of the great annual wildebeest migration, the last such spectacle of big mammals on the move, focuses on two things—the danger that destruction of Kenya’s Mau Forest presents to the Mara River, the artery that keeps the wildlife and livestock in the Masai Mara region alive, and the hope for sustaining both wildlife populations and the Maasai’s pastoral livelihoods presented by new public-private initiatives called wildlife conservancies. Poverty reduction lies behind both the danger and the hope. Kenyan governments have allowed poor farmers to inhabit the Mau Forest, high above the Mara Game Reserve, which provides the waters for the Mara River. These farmers fell the trees to grow crops and make a living. The current government has recently acted to evict these communities to protect this important watershed. Downstream, meanwhile, Maasai livestock herders, who have provided stewardship for the wildlife populations they live amongst for centuries, are bearing the brunt of the declining water in the Mara River, which threatens both their livestock livelihoods and the populations of big mammals and other wildlife that have made the Mara Game Reserve famous worldwide. Robin Reid says that should the Mara River disappear entirely, some experts estimate some 400,000 animals would likely perish in the very first week. The new wildlife conservancies being developed in the lands adjacent to the Reserve are also about poverty reduction. They are an ambitious attempt by the local Maasai and private conservation and tourist companies to serve the needs both of the local livestock herders and the many people wanting to conserve resources for the wildlife. The conservancies are paying the Maasai to leave some of their lands open for wildlife. They appear to be working well, with the full support of the local Maasai. Dickson ole Kaelo, who is leading the conservancy effort, was recently a partner in an ILRI research project called Reto-o-Reto, a Maasai term meaning ‘I help you, you help me’. Dickson was a science communicator in that 3-year project, which found ways to help both the human and wildlife populations of this region. In his new role as developer of conservancies, Dickson and his community have managed to bring nearly 300 square miles of Mara rangelands under management by the conservancies, which pay equal attention to people and animals. The long-term participatory science behind this story is demonstrable proof that, difficult as they are to find and develop, ways to help both people and wildlife, both public and private goods, exist, if all stakeholders come together and if the political will and policy support are forthcoming. In other, drier, rangelands of Kenya, now experiencing a great drought that is killing half the livestock herds of pastoralists, some experts are predicting an end to pastoral ways of life. Other experts are predicting the end of big game in Kenya. 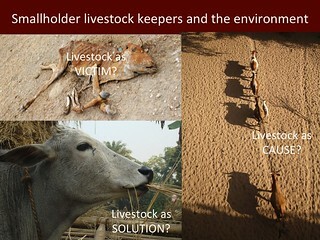 Both, ILRI’s research indicates, are tied to one another. It appears unlikely that either will be saved without the other. New study indicates that livestock production has high potential for effective, productive and profitable use of water in agriculture. Contrary to widely held views that livestock production is a wasteful use of water and is destructive to water catchments, a new study asserts that livestock production has a high unrecognized potential for effective, productive and profitable use of water in agriculture. Animal production, particularly production of grain feeds and forages, is one of the world’s largest uses of agricultural water. If properly targeted for reform, this sub-sector may well hold the key to improved water productivity in agriculture. Livestock scientists are arguing that by reviewing the sourcing of livestock feed, increasing animal productivity, and improving grazing and watering practices, water productivity in agriculture could increase dramatically. “In Africa we could double water productivity of livestock with little difficulty – maybe increase it four times” asserts Don Peden, a scientist with the International Livestock Research Institute (ILRI). Livestock scientists are further challenging comparisons often made between livestock and crop water productivity. “Most comparisons focus on fresh weights of human foods; yet the water content of diverse foods such as meat, milk, potatoes and grains varies widely from about 10 to 80 percent, making such comparisons virtually meaningless,” says Peden. 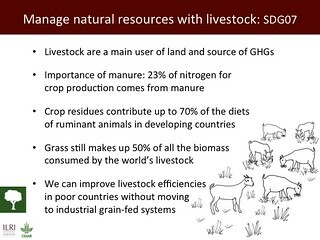 “Much criticism of high water use by livestock has emphasized grain-fed beef production, but livestock in developing countries consume very little grain, depending almost entirely on grass and crop residues and byproducts”. 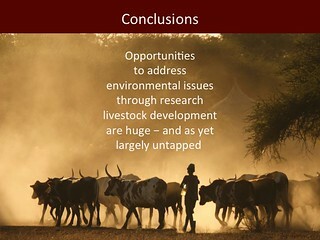 Arising from evaluations of water use in livestock production systems as a part of a wider Comprehensive Assessment of Water Management in Agriculture, scientists say greater use of crop residues and by-products to feed livestock, a widespread practice in developing countries, could obviate the need for huge amounts of water now used to produce grains and other animal feeds in developed countries. 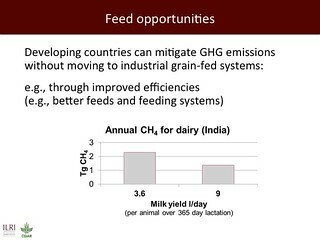 “One entry point for improving global agricultural water productivity is strategic sourcing of animal feeds such as grains, crop residues and by-products, pastures, fodder and forage crops. This issue has been largely ignored in 50 years of research on both livestock and water management,” says Peden. 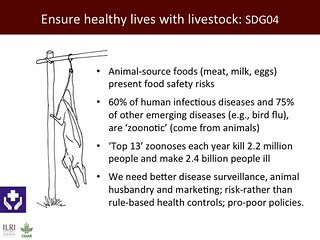 Equally important is the need to improve animal productivity through better breeding, animal health and nutrition. Research suggests that livestock in Africa’s pastoral areas achieve only about one-third of their genetic production potential. Also needed are improved watering and grazing practices that reduce run-off, flooding, degradation and contamination of water resources. 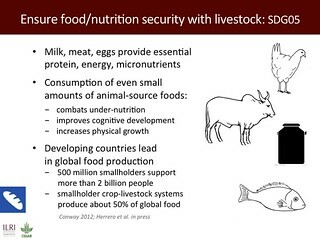 Sub-Saharan Africa and South Asia are two of the most important livestock production areas in developing regions. In Africa, 500 million people live in livestock-producing areas, half of them below the poverty line. 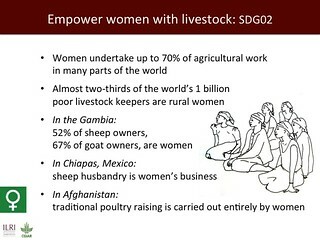 In South Asia, 1.2 billion people are involved in livestock production, 40 percent living on less than a dollar a day. In these two regions, per capita meat consumption is about one-seventh of that in developed countries. The poor in these developing regions often suffer from lack of dietary protein, vitamins A and B12, zinc, iron and selenium. In poor countries where most people subsist on starchy diets, animal foods constitute one of the best options for supplying these nutrients and helping to eliminate anemia, strengthen immune systems, and overcome malnutrition, as well as enhancing cognitive development in children. 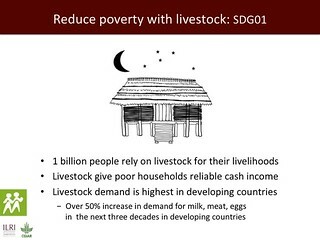 The contribution livestock make to the world’s poor is thus critical to their survival and development. Far from being a wasteful use of water, scientists argue that livestock production in developing countries must be seen as both essential and an opportunity to increase water use efficiency. 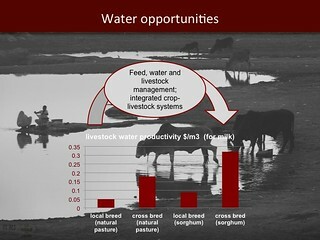 To maximize the productivity of water, livestock experts recommend factoring in the water requirements for livestock and feed production in mainstream water planning, management and development. 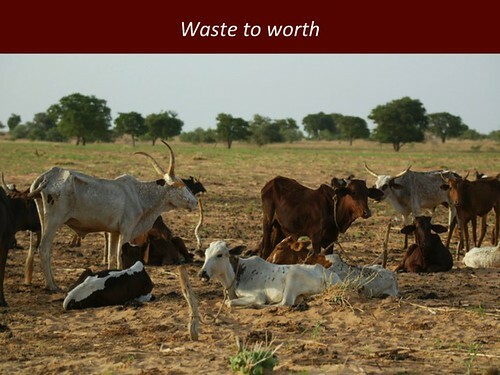 Evidence is mounting that integration of animal production into investments in agricultural water development results in more sustainable and profitable livelihoods for farmers and herders alike. ILRI and partners launch an innovative livestock-water project at a workshop in Kampala, Uganda. 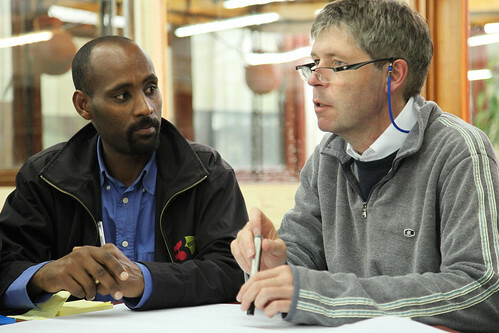 ILRI and partners launched an innovative livestock-water project at a workshop, which ran from 5 – 9 September. 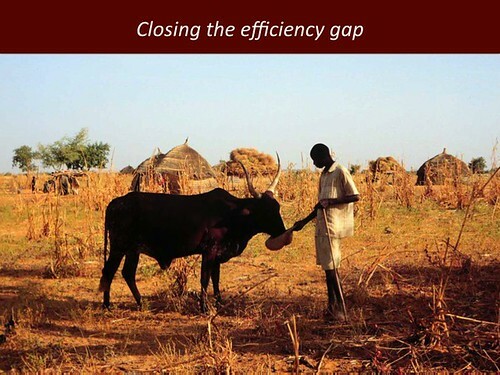 Participants identified technological, policy and behavioral changes that would allow livestock to become effective and productive users of the scarce water resources of the Nile Basin. 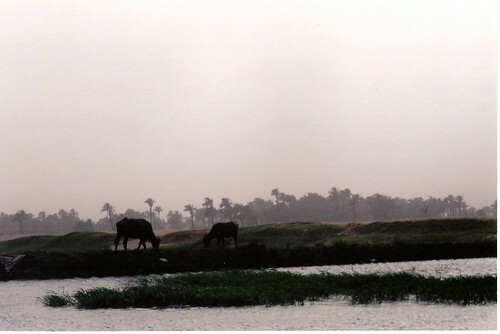 The Nile waters sustain life for about 200 million people, many of whom are desper­ate­ly poor, from ten African countries. Water shortages already constrain food produc­tion in much of the Basin. 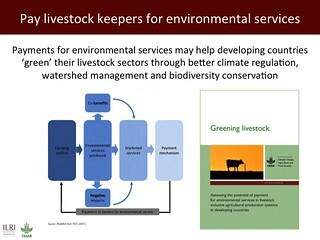 Livestock have been overlooked in water management programs. But the amount of water depleted by livestock in the Basin appears to be at least as great as that used to produce human food. (Production of livestock feed requires 50 to 100 times more water than animals drink.) A rising demand for livestock foods in these countries is placing even greater demand on water resources. Uganda's State Minister for Animal Industry, Ms. Mary Mugyenyi, opened the workshop, ‘Nile Basin Water Productivity: Developing a Shared Vision for Livestock Production’, which was also attended by Dr. Carlos Seré, ILRI’s Director General.